A panel on Alzheimer’s will be held November 10 at the Center Museum. The California Center for the Arts, Escondido Museum is hosting the first-ever book reading event on Saturday, November 10 starting at 2 p.m. 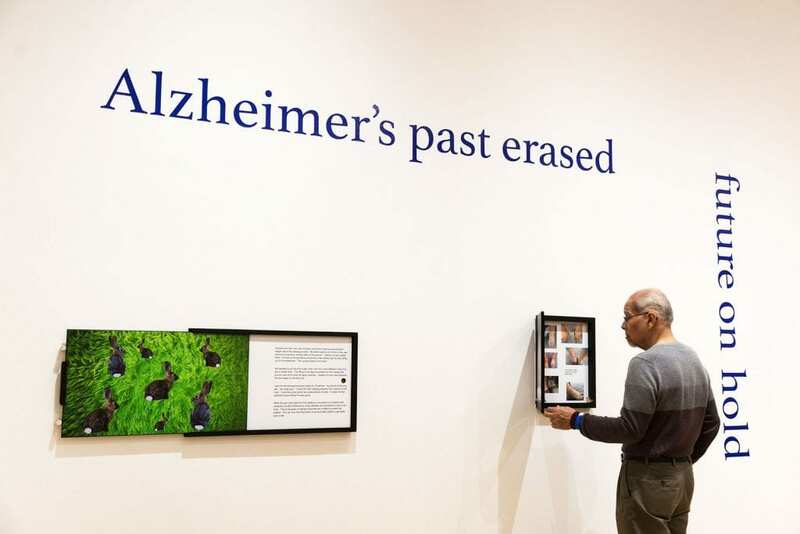 Listen to a free reading from the book, Alzheimer’s: Embracing the Humor from Public Address members and DesEscondido/No Longer Hidden museum exhibition artists Nina Karavasiles and Andrea Villa. Alzheimer’s: Embracing the Humor is a compilation of short stories that were inspired by photographs of Nina Karavasiles’ life with both parents being afflicted with Alzheimer’s. The fact that she had to care for both parents, has set the stage for some funny and tragic stories. She will read excerpts from her book and along with Andrea Villa, answer questions about dealing with family members who have Alzheimer’s. The panel is free and after the lecture, you will be able to view our newest exhibition, DesEscondido/No Longer Hidden: Public Address Exhibition.